SuperBlock is located in the heart of the rapidly developing I.D.E.A. District in Downtown San Diego, CA. Situated on approximately 2.75 acres between 15th & 16th Streets and E & F Street. 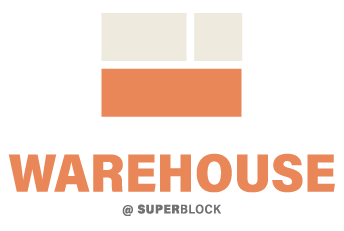 SuperBlock is comprised of three distinct components: Warehouse, Tower & Coliseum. You don’t need to build in amenities - we already have them built into the neighborhood. SuperBlock tenants can spend their lunch hours at the East Village Green throwing a frisbee, working out at various fitness and cycling studios or grabbing a quick lunch at numerous top local restaurants. Just a short walk from SuperBlock are award winning restaurants, access to the San Diego Trolley, ground breaking educational facilities, coffeeshops and nightlife options. Just a short drive away and you’re at the San Diego International Airport or the Santa Fe Train Depot. Its all right here. Want to know more about SuperBlock @ I.D.E.A. District? Interested in more leasing information? Drop us a line and we’ll be in touch! Thank you for your interest! Someone will contact you shortly with more information.